Alarick Brandon is the powerful wizard who operates The Keep, a refuge for magical people fleeing the persecution of the Ministry. A bitter realist, Alarick knows it's only a matter of time until the Ministry succeeds in eradicating magic from the worldand exterminating all magical beingsso he has been careful to avoid any personal involvement with the people who pass through his sanctuary. 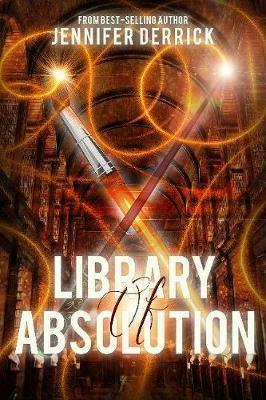 The first installment in an enticing new fantasy series by author Jennifer Derrick, Library of Absolution is a compelling story of perseverance and determination in the face of persecution, in a Dark Age where hope is lostand knowledge is the only thing left to fight for. I became a writer at the age of six when my parents bought me a child’s typewriter for Christmas and agreed to pay me a penny per page for any stories I churned out. When I got older, I realized that I needed to make (much) more money from my writing so I first turned to the corporate world (where I learned that I am spectacularly unsuited to cubicle life) and ultimately to freelancing where I now write everything from technical manuals to articles on personal finance and European-style board games. My writing career came full circle when Clean Teen Publishing accepted Broken Fate, my first novel. By my calculations, my parents owe me about $3.00 for that book. I live in North Carolina and, when not writing, can often be found reading anything I can get my hands on, playing board games, watching sports, camping, running marathons, and playing with my dog.